The fire and ambulance service are drawing up plans for a station they can share in Wrexham. Police and the fire service are already looking at sharing a building in north Wales as they tackle budget cuts while making improvements. Land near Wrexham Maelor Hospital has been earmarked for the new building. Wrexham council has received details of the plans off Croesnewydd Road and is awaiting more information before a decision is taken. North Wales Fire and Rescue said it was working with the Welsh Ambulance Service to bring the plans to fruition. 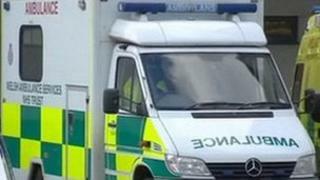 Earlier this year, the ambulance service announced plans to close smaller stations in Flintshire and build a new £2.7m depot. Meanwhile, a crew from the Maritime and Coastguard Agency moved into Flint fire station in March as part of its work along the Dee estuary and north Wales coast. Last winter the fire service started working with North Wales Police to try to upgrade facilities in Gwynedd by moving into shared buildings to reduce costs. Public services are trying to make multimillion-pound budget cuts as part of the UK government's austerity measures.